Police are appealing for witnesses to a collision on the A27 near Emsworth where a lorry driver died. Emergency services attended the scene of a one vehicle collision at around 4.15pm on Monday, which closed the dual carriageway in both directions between Emsworth and Chichester. According to police, a lorry travelling west collided with the central reservation and ended up on the eastbound carriageway. No other vehicles were involved. The driver of the lorry, a 60-year-old man from Waterlooville, sadly died at the scene, police have confirmed. 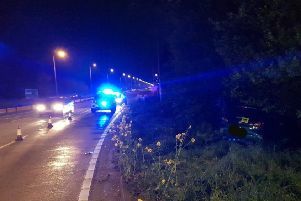 Anyone with information is asked to contact police on collision.appeal@sussex.pnn.police.uk or online here https://sussex.police.uk/contact-us/response-to-appeal/.